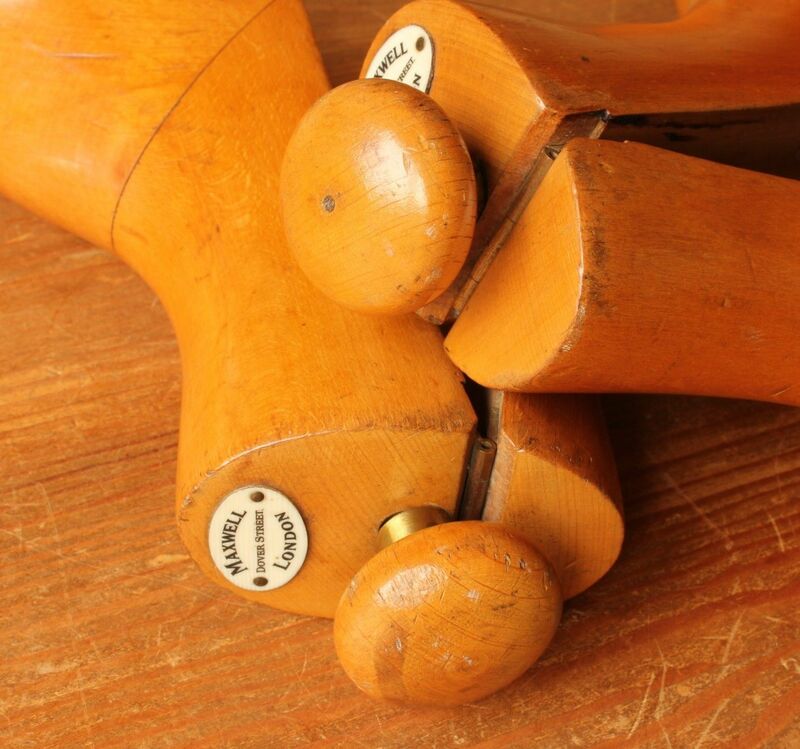 Henry Maxwell Wooden Boot Lasts. Wood Treen Trees. Vintage Shoe Shop. 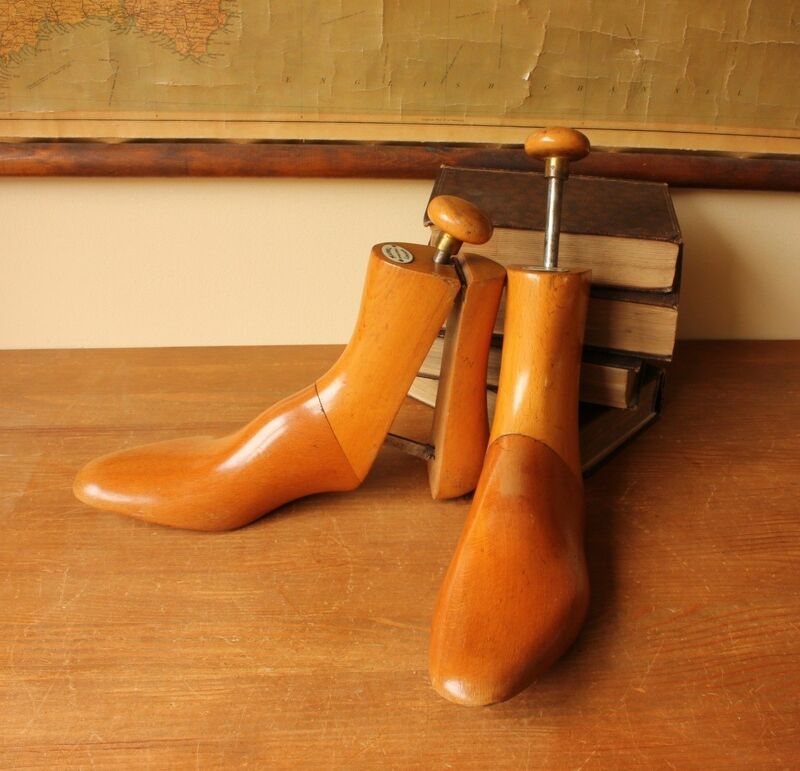 TThis wonderful pair of antique wooden boot lasts have a moving heel section that opens and closes using the handle to apply pressure to the boots. 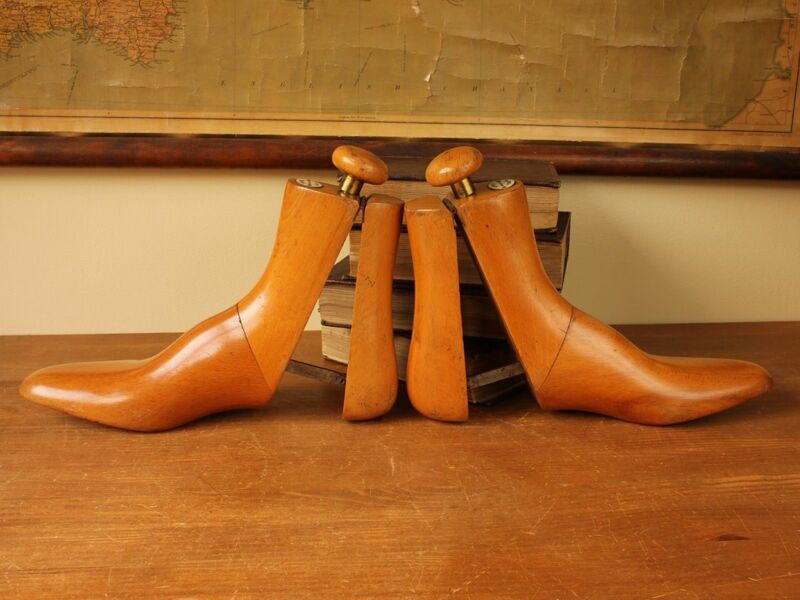 These beautiful boot lasts have the original Maxwell Dover Street London ivorine plaque to the top and would have been custom made for a wealthy client. 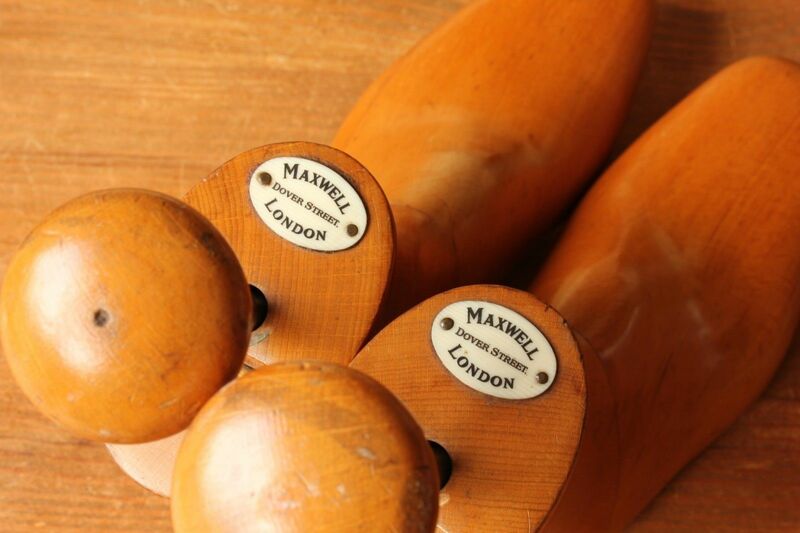 Henry Maxwell was founded in 1750 and is the oldest of the remaining bootmakers in London. By the mid 19th century the firm was prospering internationally and was awarded the first of its many Royal Warrants by King George IV. By the early 20th century, before the horse was superseded by motorised transport, Henry Maxwell had grown dramatically and supplied boots, shoes and a wide range of riding and hunting accessories from shops in London and Paris. 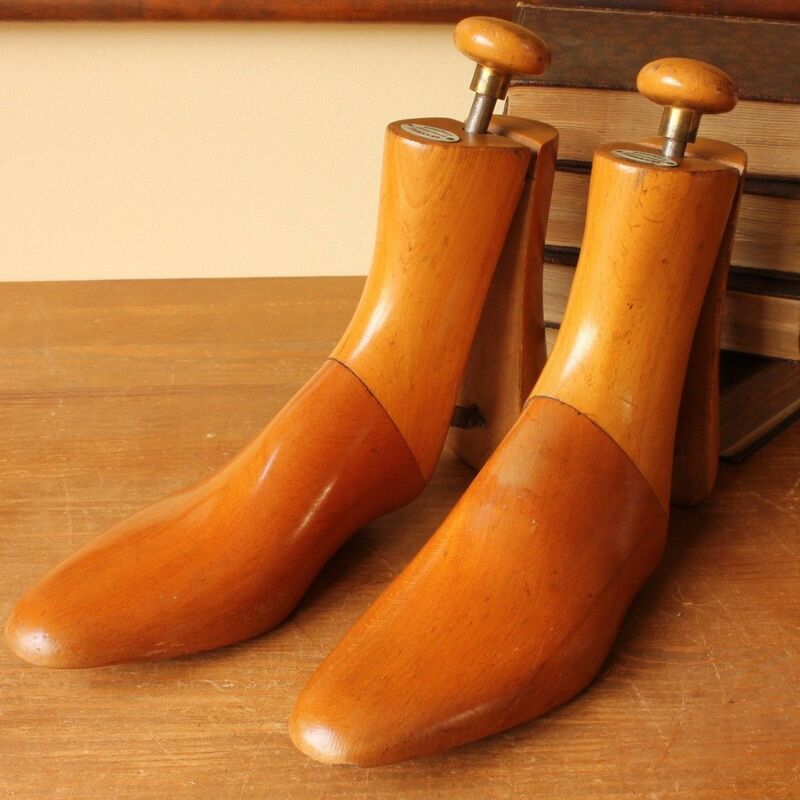 This pair of wooden lasts are really well made items of footwear memorabilia that not only look stunning on display but are usable items for antique footwear collectors and would make a super item for a shoe shop, bar or home decor. 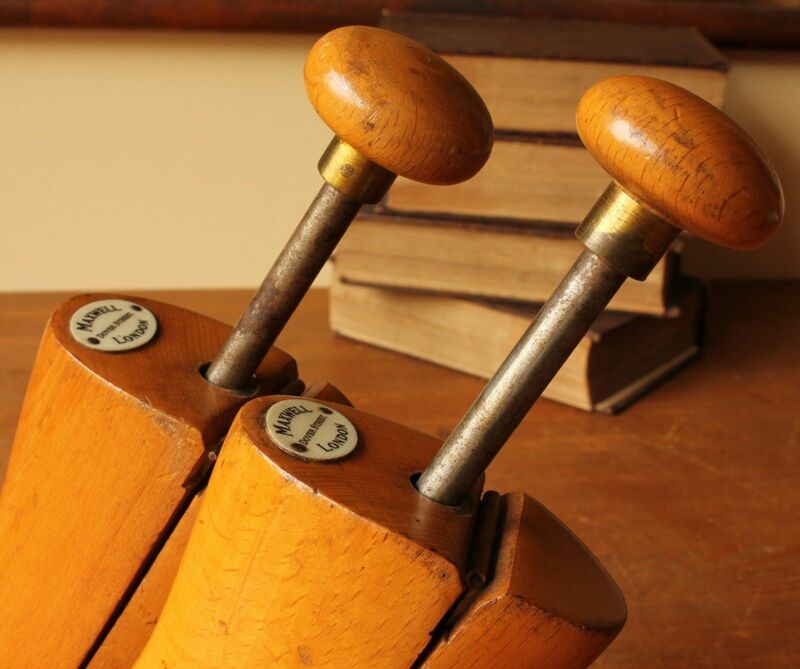 Make: Henry Maxwell. Dover Street, London. Weight: 1364g for the pair. Length. Toe to heal - 28 cm (11") approx. Condition: In very good used antique condition with some signs of use in keeping with age. A few light marks, scuffs and chips leaving a wonderful patina. No woodworm. Please see pictures.